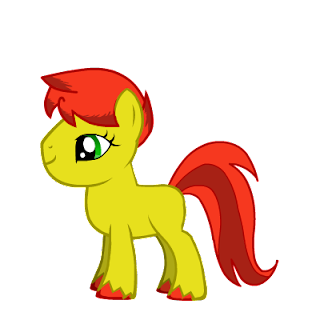 Lurking Rhythmically: Unknown Ponies after-action report - Ponies. Pistols. Prepping. Well, okay, maybe it wasn't as bad as all that, but... ergh. I learned a lot from this session, which I will detail below. Jeff played earth pony Dabinett (it's a kind of apple, but the name left the rest of the players going "huh?" Next time I should just call him Dabby Apple and have done with it). Hailing from Appleloosa, he was spending the summer at Sweet Apple Acres to help out while Granny Smith recovered from hip surgery. 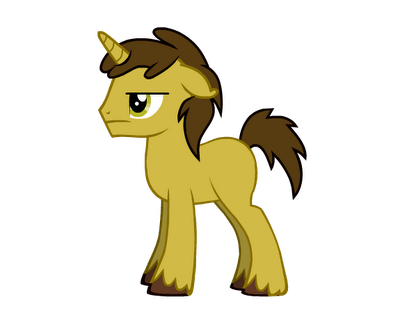 He had some strange ideas about politics and was fond of spouting pro-Luna and anti-Celestia rhetoric, and could best be described as "hard-working proletarian pony." Lockheart, played by Friendship is Dragons writer Newbiespud, was in many ways the token Vulcan of the group, as he prefers rationality over emotion (his heart is locked, you see?) and was theoretically the normalizing influence on the group. 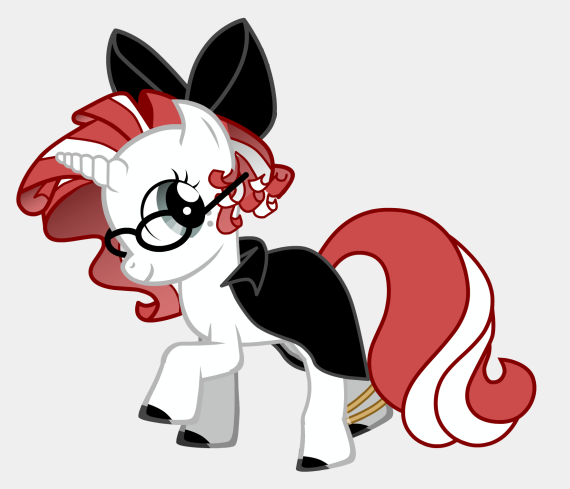 Interestingly, he has a fear of zombies (zombponies, actually). He and Scarlet are good friends, which makes me think he is the Dexter to her Sylar. 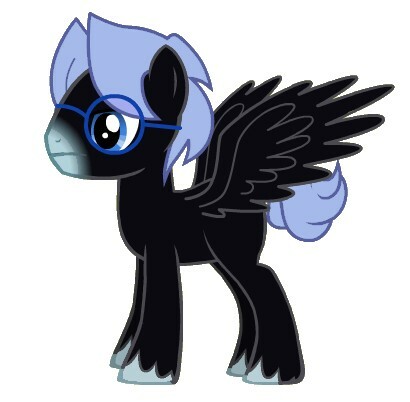 Lastly, this fellow here is Nightsky Star, a pegasus astronomy enthusiast. The typical asocial science nerd, he was played by Adam "Barking Alien" Dickstein, and any resemblance to Piro from Megatokyo is purely coincidental. Adam is the only player here who isn't a fan of the show. In fact, he hasn't seen any of the episodes. Truth be told, I had to twist his arm to get him to play, citing his "I'll try any game once" quote against him until he relented. As I have said before, My Little Pony is a fantasy RPG hiding behind pastel cartoon horses. Therefore, many D&D tropes carry over quite well, and I demonstrated that in my New Year's Day game where I basically ripped off the plot of The Sunless Garden. To cut a very long story very short: Despite all the fan love for Doctor Whooves, sci-fi does NOT work in this setting. At all. Ever. It was a complete failure. Basically, the aesop of the adventure was "When a disaster threatens a community, the entire community should band together to face it. What an individual cannot accomplish, a group can." Sadly, this runs completely counter to the theme of Doctor Who, which is all about "One person, in the right place and the right time, can make all the difference." The players, realizing this was a Who adventure, started riffing off of those tropes instead of the pony tropes of cooperation and knowing when to ask for help. This goes hand-in-hand with the first point. Don't run a world-shattering adventure when your players are expecting birthday parties, or at the very least, make it plain what kind of behavior you expect from them. Part of the reason they found this adventure so hard was because they didn't spend a lot of time earning points on the Friendship Track, which would have made it easier to effect critical changes in the plot. I'm not sure if this was simple unfamiliarity with the system, or poor GMing on my part, but I feel I should have been clearer and more insistent that "The more you act like traditional PCs, the harder it is. Acting like friends will earn you points that can aid in the adventure." Also, while the 1% advancement mechanic was fine, the PCs failed a lot and were becoming quite frustrated towards the end. Post-game analysis indicates that starting skills at 25% rather than 15% is preferable, as it still provides a large margin for failure while giving a decent chance for success. This means that I will need to revisit my rules and re-jigger the numbers... sigh. I am not accusing anyone of metagaming. 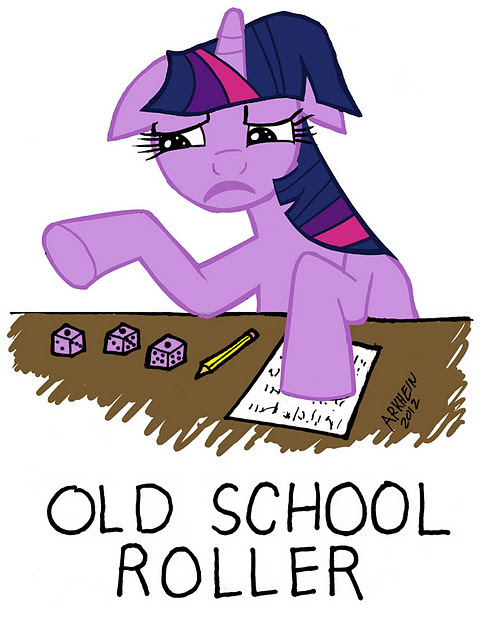 What I am saying is that, the characters acted more like traditional RPG characters and less like actual ponies. (Again, probably the fault of the sci-fi influence) I wish I knew a handy way of enforcing genre. There is a carrot in the form of Friendship Points, but I need a stick as well. The entire mess was pretty much a gigantic failure, and yet somehow the players managed to have a good time anyway. I think even Adam was amused, although his comment of "After this, I need to watch football to feel like a man again. And I hate football!" rubbed me the wrong way. So, yeah. The engine itself works fine, and with the previously-mentioned modifications I think it'll be a fine game. As a social experiment, however, it failed awesomely. Oh well. At least I gained +1% to my GM skill. Image courtesy of Arkhein at Rather Gamey. To deal with the problem presented in #4 use the characters' passions. I ran a year long UA game (and plan on using it more in the future) and that was how I had players behave like people and not typical murderhobo PCs. The GM has to organically create their characters through developing their back story and personality before the players go anywhere NEAR the rules. Then once you've got their passions, which should be character and campaign appropriate, you've got their stick AND carrot. If they behave in line with their passions they get a reroll or flip flop. If they go against their passions they get a Self Stress Check, and potentially Freeze, Flee, or Frenzy. Good for you all, for trying. I've never seen the actual show, in its original form, only the hilarious fan dubs. So I'd probably be too clueless to play an in-genre pony. On the other hand, I'm very much a team player, I always try to help, and I don't think I'd feel any less of a man, as I'd be thinking of how great this would be to play, if I had kids (girls) of my own. As is, I have four nieces. Y'all keep having fun. That's what matters most.